Metal Flake Mother emerged from the Chapel Hill music scene in the early '90s. The Pixies-influenced foursome consisted of Benjamin Ross Clark, Quince Marcum, Jim Mathus, and "Hollywood" Randy Ward. Metal Flake Mother released one proper album, the seventeen-track Beyond The Java Sea in 1991 on Moist Records, and an earlier four-song EP. 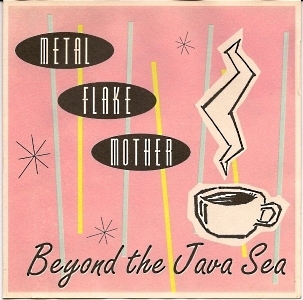 Metal Flake Mother disbanded soon after the release of Beyond The Java Sea. Singer/guitarist Jim Mathus went one to form and front the Squirrel Nut Zippers. From 1991, here's Metal Flake Mother with "Tongue Long."